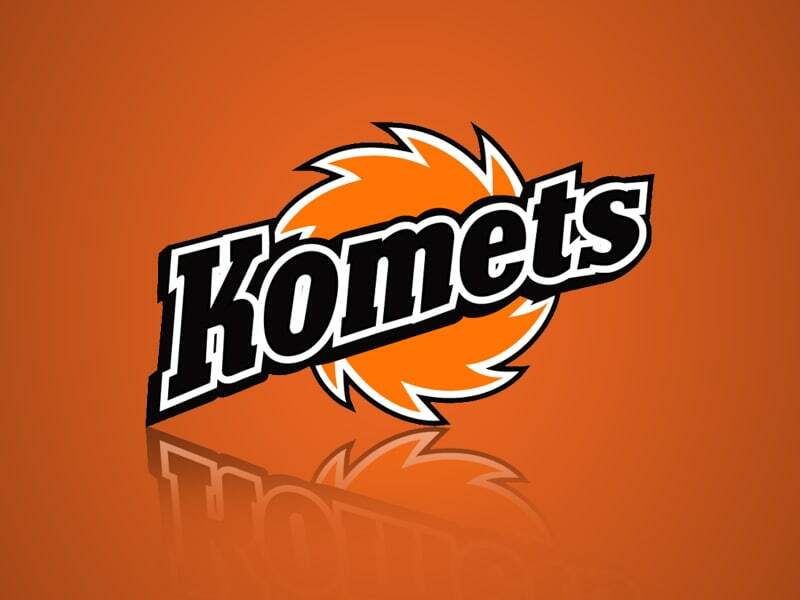 LOVELAND, Colo. (WOWO): The Fort Wayne Komets were just one goal short of winning the ECHL Western Conference Championship and heading to the Kelly Cup Finals. The Ks had a 3-1 lead with 12 minutes left in the game, but ended up falling in overtime to the defending champion Colorado Eagles 4-3 in Loveland, Colorado last night as heard on WOWO. A costly goalie interference penalty against Fort Wayne’s Dennis Kravchenko proved to be the Komets’ undoing, as Ryan Olsen scored the game-winner for the Eagles on the ensuing Power Play. Two other defensive breakdowns allowed the Eagles, who are playing their last season in the ECHL before being promoted to the AHL, to climb back into the game: first, Komets defenseman Bobby Shea had to leave the ice after losing his helmet on a play with 8 minutes left in the third period, giving Colorado a temporary one-man advantage they used to cut the lead to 3-2. Then, the Komets were caught on a badly-timed line change that led to Colorado’s Joey Ratelle scoring the game-tying goal with a little more than 3 minutes left in regulation. The Komets will hold an end-of-season charity jersey auction this Friday at the Memorial Coliseum. It starts at 7pm, and the doors open at 6:30pm. The Komets will start their 67th season on the road on October 12th against the Indy Fuel, and their home opener is October 20th against Kalamazoo.